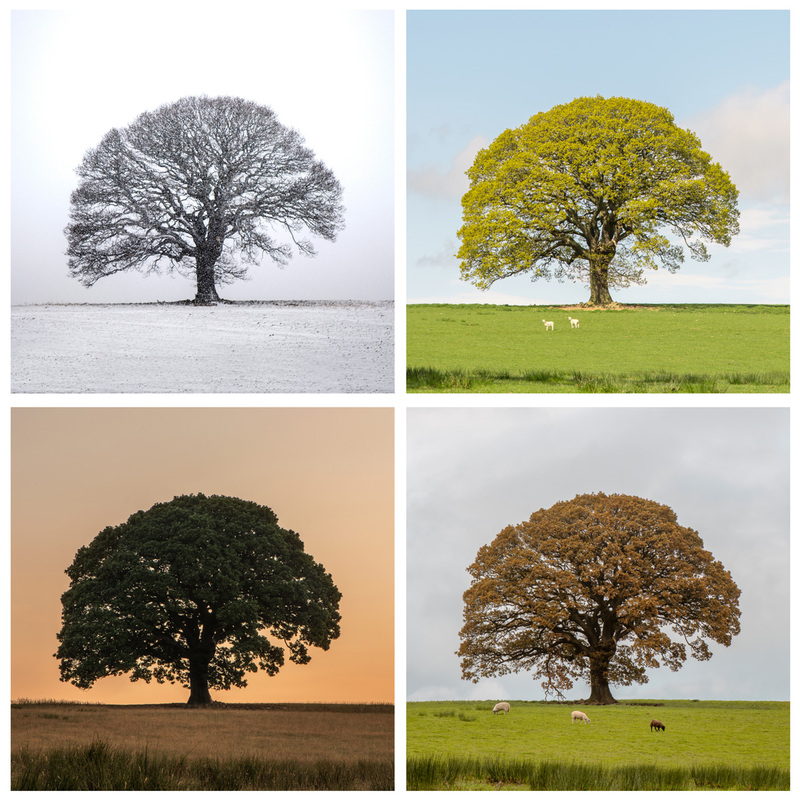 My aim was to photograph a tree in every season. The first steo was to find the perfect tree. I decided on a tree close to Bassenthwaite Lake, an oak, that stood alone in a field. When shot from a certain location there was nothing behind the tree apart from sky. Now to plan the images and visit refulary through out the year. I decided to visit at sunset, the leaves were dark green and the sky turned orange. I had to visit more often this season as I didn't want to miss the colours against a soft grey sky.